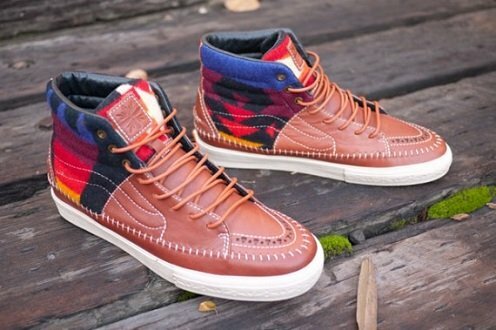 Last we heard from Vans Vault, the line had created some pairs of the Buffalo Boot (All-Weather) LX for this fall/winter season. 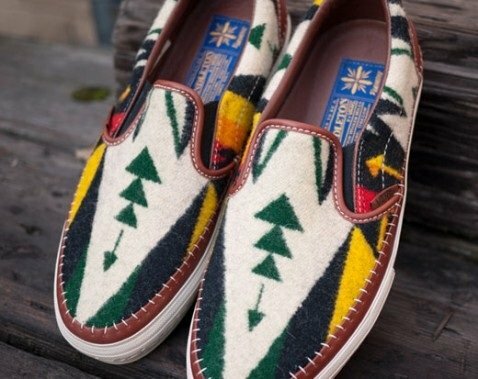 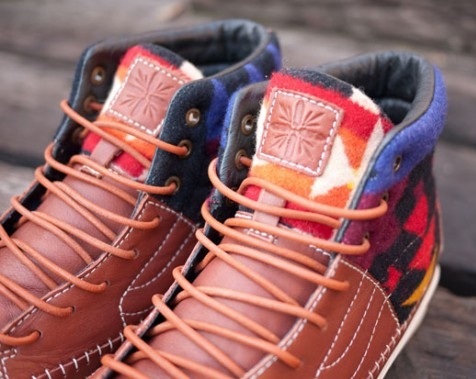 Now, Taka Hayashi has joined forces with American company Pendleton to create the Sk8-Hi adn Slip-On pictured here. 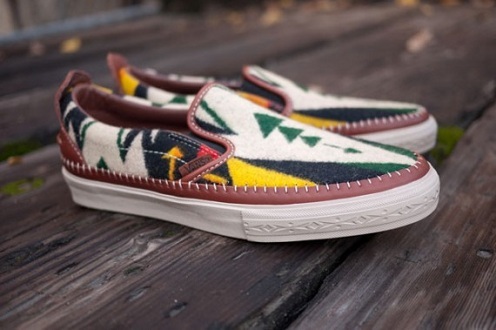 Each pair has different patterns along the upper that are inspired by Native American culture and sitting on primarily brown color bases. 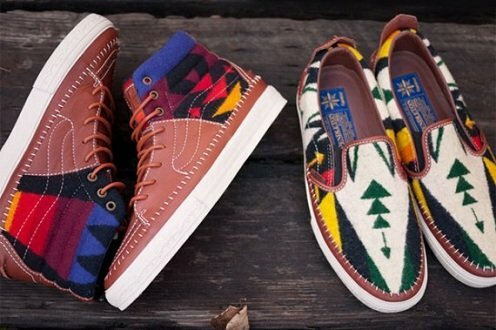 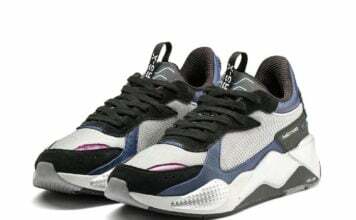 You can purchase one or both of the shoes in this collection through select Vans Vault retailers such as Bows&Arrows.